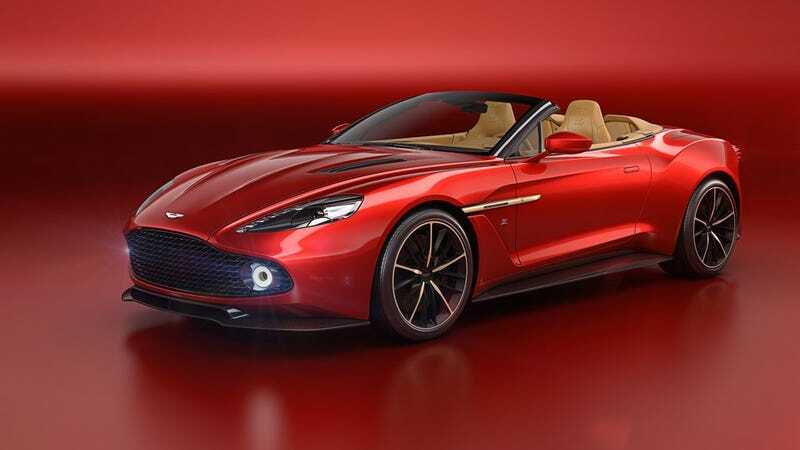 This is the the Aston Martin Vanquish Zagato Volante, which is the convertible encore to the limited-run Vanquish Zagato Coupe we fell in love with earlier this year. Sadly only 99 of the original Vanquish Zagatos were commissioned by Aston Martin, but enough rich people who missed out managed to get an even better opportunity to buy one of the 99-more Vanquish Zagato convertibles, or rather, Volantes. It’s heavy on the carbon fiber and comes with a 592 horsepower V12 good for getting some 60 mph wind in your hair in just 3.7 seconds. And dare I say it’s the best looking convertible I have ever seen. I am in love. Maybe it’s all the red. My eyes, my heart, Vanquished.